PHILADELPHIA, PENN. / ORANGE, Calif. (Oct. 1, 2018) – Promising featherweight prospect Ruben Villa (13-0, 5 KOs) headlines a talent rich card from his hometown of Salinas, Calif. on Saturday, Oct. 13. Villa, 21, returns to the Salinas Storm House for the second time this year. The talented southpaw faces Mexico’s Miguel Carrizoza (10-3, 2 KOs) in the 8-round “New Blood”main event. 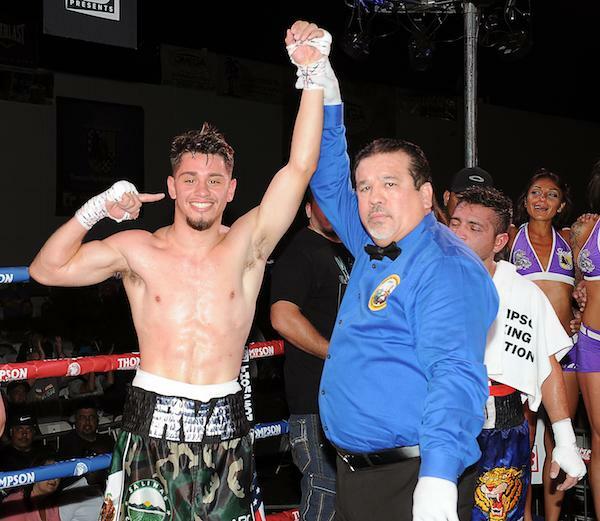 Villa last fought from the Salinas Storm House in April, when he routed fellow prospect Marlon Olea in route to winning the vacant WBO Youth featherweight championship. It was Villa’s first title since turning professional in July 2016. The lefty, who sometimes conducts training camps in the sparring rich city of Riverside, Calif., decided to stay close to home for this fight. Him and his team have zeroed in on what is required to defeat Carrizoza. All fights will be live streamed on our Facebook page.